Company Brings the Spa to Customers, Provides Alternative to Finding and Visiting a Brick and Mortar Spa for Gift Card Redemption. 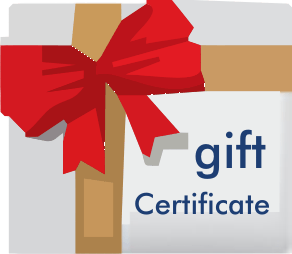 Body Well Therapy, a leading provider of on-site “mobile” therapeutic massage services announced that it accepts Spafinder massage gift cards and gift certificates for massage in home, and in room hotel massage in all service areas including throughout Florida and the DC Metro area. Clients interested in redeeming a Spafinder massage gift card can simply call Body Well’s main number (888) 929-WELL to speak with an in-house appointment coordinator who will assist in coordinating an appointment. Body Well also sells its own massage gift certificates both online and via telephone orders. Additional mobile spa services are available depending on location, including aromatherapy, hot stone massage, body wraps and more. Founded in South Florida in 2005, Body Well has become a premier on-site massage agency serving individuals and companies in multiple metropolitan regions on the East Coast with in home massage, in-room hotel massage, and injury therapy for automobile and worker’s compensation claims, plus business clients with corporate chair massage services and event massage services. All contracted massage therapists are licensed, insured and must complete an extensive application and interview process including an in-person skill demonstration and thorough equipment evaluation to ensure the highest standards. The company can be reached seven days a week from 9 a.m. to 10 p.m. at (888) 929-WELL (9355).